Congrats to Mariachi Trio Los Azulado! 700 Bookings! On May 8, 2017, Mariachi Trio Los Azulado secured their 700th booking with GigMasters! (They’re already up to 707 bookings!) We reached out to band member, Teresa, to find out some secrets behind their success. When did you start as a GigMasters member? Mariachi Trio Los Azulado joined Gigmasters 6.5 years ago in November of 2010. Can you share your success story with us? Mariachi Trio Los Azulado always strives to provide a quality performance to our clients... and our clients have responded kindly to us with their feedback. It takes time and dedication to respond to gig leads in a timely manner and communication with the client is a must! Do you have any tips/suggestions for a new member? Our best tip is to first and foremost---Love what you do. If you enjoy your performance, the client will enjoy it too! We always put our client's wishes first and we try to deliver what the client is expecting. Every one of our gigs is a special event for our clients...and we appreciate the clients who put their trust in us to deliver a quality performance. We try to personalize our performances to the client and it is the small details that really matter. (Addressing the birthday person/bride and groom/or person being honored by first name, coordinating the color of our outfits to the event decorations, ALWAYS be on time, fulfilling specific song requests, etc. )....and just being flexible to the clients' vision. Every gig is unique in its own way. Fortunately, we have many repeat customers and customer referrals because we try to make every client feel special. Mariachi Trio Los Azulado has over 500 songs in their repertoire! Make sure to check out their GigMasters profile and read some of their 350+ reviews. If you’re in the San Bernardino area, they play live every Friday at PANCHOS restaurant in Victorville, CA. 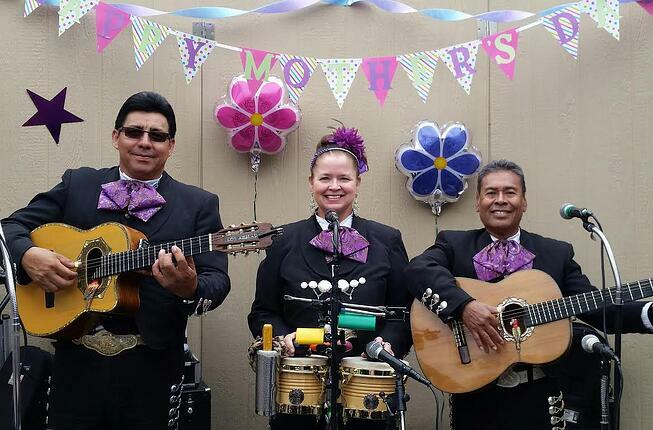 Congrats to Mariachi Trio Los Azulado on over 700 bookings with GigMasters and here's to many more! Your success is our success. Cheers!